The series is called Memoir Monday. It celebrates memoir and first-person writing and takes place on Mondays. 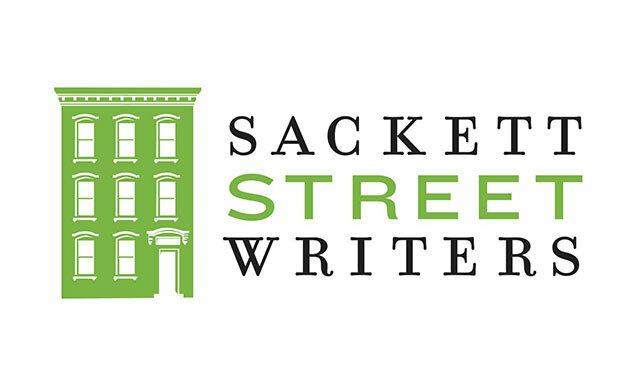 Sackett Street Writers Reading/Event Series. 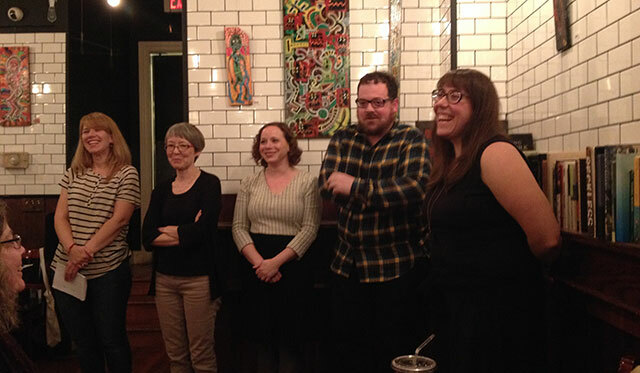 The monthly events that Sackett Street organizes are aligned to the overall mission of the writers workshop Julia Fierro founded to celebrate emerging and established local writers in the NYC area. 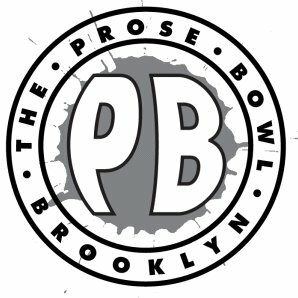 Crown Heights has a new reading series. The product of a collaboration between Manhattanville Coffee and Penina Roth, the monthly event launched last week. The series is designed for emerging writers, and each event will feature one published author as a headliner along with several other writers who are yet to have published a book. 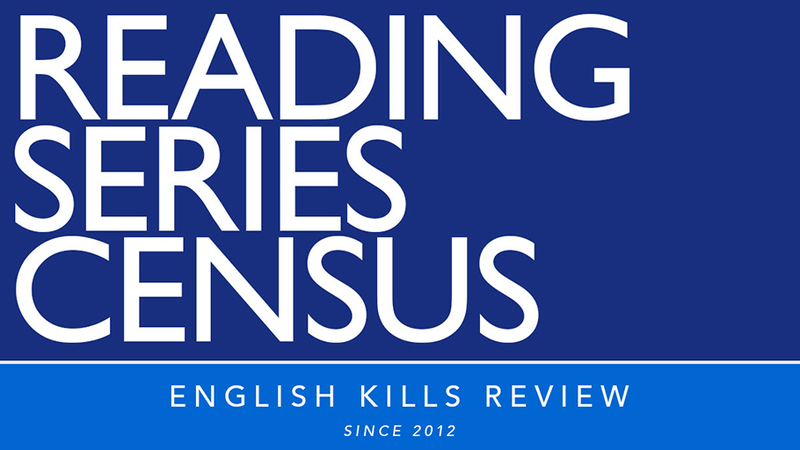 When you want to read your fiction after just publishing a book, but there just doesn’t seem to be a good fit for you in your state, what do you do? Well, Nicole Haroutunian, an English Kills Review contributor, joined forces with Apryl Lee to create their own series in Montclair, New Jersey. Now, four times a year, The Halfway There Reading Series combines community and the arts to give both emerging and well-established authors a platform for their work without a hike into the city. Amanda Faraone, Laura Macomber and Sierra Troy-Regier founded the Flint Fiction reading series in September of 2014. 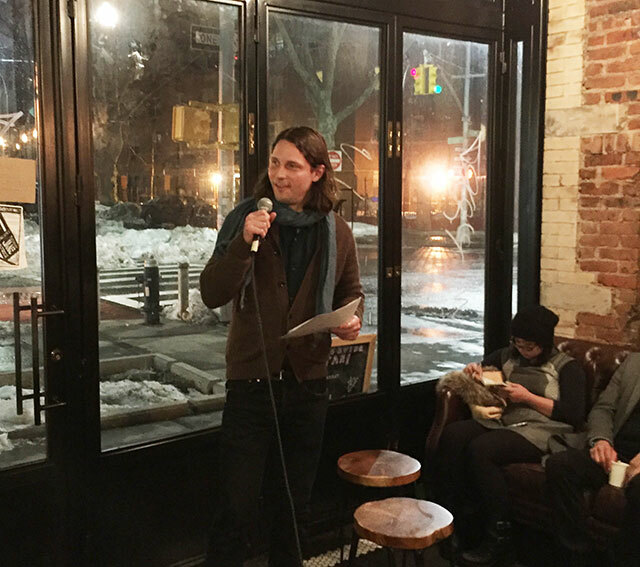 Hosted at 2A, an East Village dive bar with a windowed, second-floor event space, Flint Fiction is the successor to the Fiction Addiction reading series. Fiction Addiction founder Christine Vines passed the torch onto Amanda, Laura and Sierra when she matriculated to Cornell University to pursue an MFA. The night of Tuesday, June 30, featured three readers with a diversity of backgrounds whose readings coincidentally united around a cinematic theme. Meet Bijan Stephen and Alanna Okun. For those not in the know, Alanna and Bijan are a pretty big deal. Alanna is a senior editor at BuzzFeed; she has appeared on The TODAY Show, Good Morning, America!, The Katie Couric Show, NBC’s Nightly News, and NPR; her writing has appeared in Billfold, Architizer, and Side B, et cetera. Bijan is an associate editor at The New Republic; his work has appeared in The Paris Review, Vanity Fair, The Wall Street Journal, N+1, VICE, and The New Inquiry; he’s a writer for Rusty Foster’s cult TinyLetter Today in Tabs (subscribe, for real tho), and also happens to be Ta-Nehisi Coates’s twitter-son.